Hello everyone, hope you are enjoying the last few bits of summer where you are. Weather here has been variable but I am having a lovely time, have had a quiet week at home this week, marking work, reading lots of lovely books and generally mellowing out. 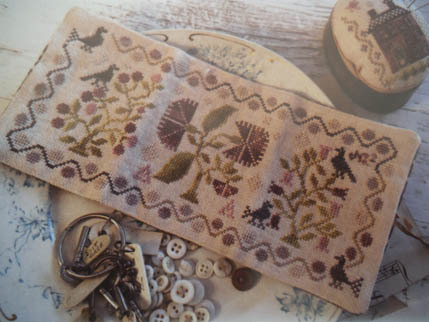 And I have been stitching from my new Blackbird Designs patterns which arrived last week from Thread Bear! 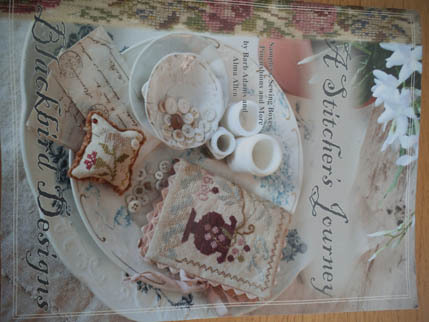 I really love these designs and have been admiring them on lots of other blogs and in exchanges so I have treated myself to one of their books, ‘A Stitcher’s Journey’, and two other patterns. 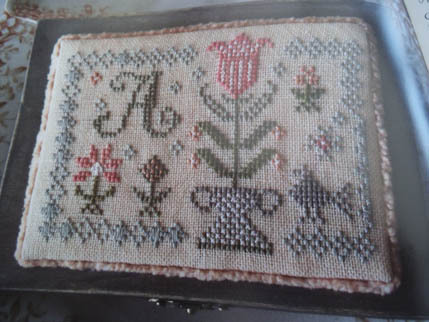 I have started stitching from the book but cannot reveal anything as it will be an exchange but am loving the way the pattern is stitching up. I need to get started on my Xmas stitching as I will be away in China so much this Autumn which will mean little time to stitch. 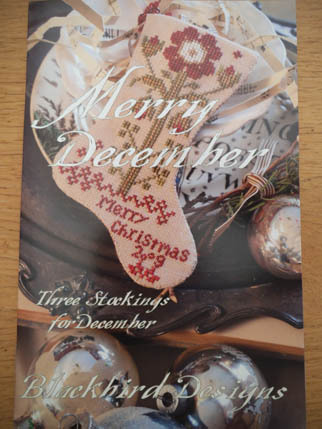 I ordered the Christmas set of stockings, ‘Merry December’, and will make all three for me. 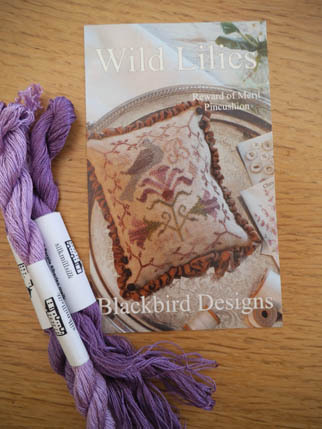 The final design is this little Wild Lilies pin keep which will look so good stitched in these lovely Silk Mill lilac threads. 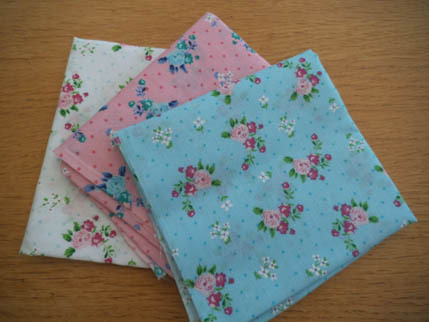 I bought a little bit of new fabric when I was away last weekend – ned to get more stash for my lovely new craft room and these Cath Kidston lookalike fat quarters will come in handy for something. 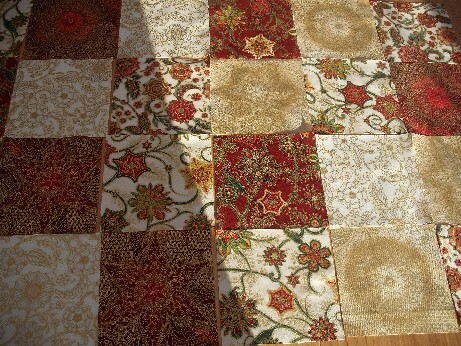 I have also been doing some quilting on a WIP. A long time ago I started this throw for the lounge. I have now pieced and backed it, stitched the borders and am hand quilting it, am very pleased with the progress so will take some nice pics to show you soon. Am off this weekend to visit Ellie at Powis Castle which I am very much looking forward to. It will involve two very long train journeys as well so lots of lovely stitching time! Hopefully the weather will be beautiful and I can take some arty shots of the castle for you. Thanks again for visiting and see you all soon! you have been keeping busy. I am enjoying following Ellies blog at Powis too. Thank you – it is amazing what you can get done when you don’t have to work so much! Ellie will be very happy that you are enjoying her blog, I will let her know when I see her at the weekend.